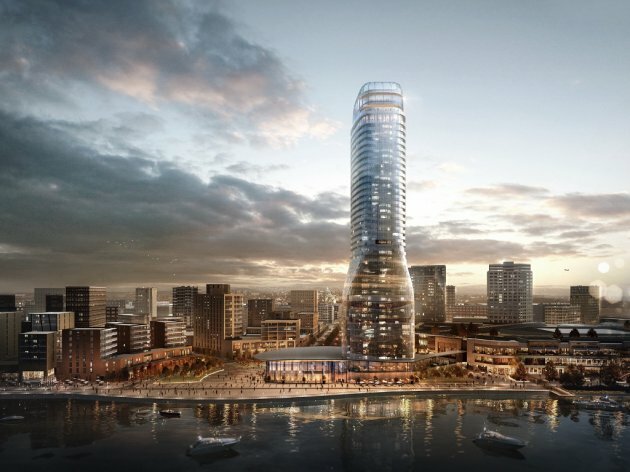 The Ministry of Construction, Transport and Infrastructure has issued a building permit for the construction of the Belgrade Tower, which is to be built within the Belgrade Waterfront project and be the tallest building in Serbia at 168 meters. The investment in the construction of the facility with 40 floors and an area of 47,500 square meters is worth RSD 12 billion, the Ministry of Construction says on its website. The Belgrade Tower project includes, among other things, a 5-star hotel and sports and recreation premises, and the top of the building is supposed to feature an outlook, providing a panoramic view of 360 degrees. The ground floor with a restaurant will have an exit to the Sava Promenade, and the building will be connected to the BW Gallery shopping center by a footbridge. Let us remind that Pizzarotti will be the main contractor in the Belgrade Tower project. The building was designed by the world-renowned company SOM, and the project is being developed by AECOM.